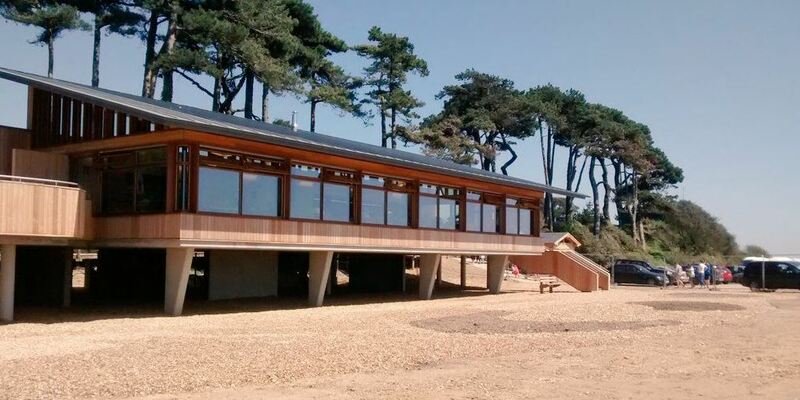 We’re delighted to confirm that The Lookout at Lepe has opened! The new restaurant and Park reception opened just in time for the sunny bank holiday. It was wonderful to share the new building with so many visitors over the weekend and a huge thanks to all of you for your patience as we adjust to our new home! As with all new buildings, there are a few changes still to happen – so do keep popping back to enjoy these features as we settle in! We are currently looking to extend our opening hours to cater for more people visiting Lepe during the summer. Saying this, we appreciate that access to the site can be tricky. However, you can access the new building either via steps and/or the slope between the beach and cliff top levels. Plus, there are temporary accessible toilets at beach level for those unable to access the new building. If you have any concerns, please call the team ahead of your visit to see how we can help you. If you have any questions about the works, please get in touch by emailing lepe.enquiries@hants.gov.uk or calling 02380 899108 and we’ll be happy to help. As ever, we’re grateful for your patience and are looking forward to sharing in the excitement of all that’s new at Lepe over the coming months. You can also find out more immediate updates about what’s happening around the Park on our Facebook, Twitter and Instagram. Plus, please feel free to post photos of your visit to The Lookout on our social media channels – we’d love to see them!